There's one business decision that 94 percent of this year's MSP 501 have all made: joining a peer group. Thanks to automation, cloud technology and the commoditization of services, the IT managed services industry is walking a tightrope. Demand for managed services has never been higher, and as business continues its mad rush into an as-a-service paradigm, that demand is only going to increase. The vast pool of potential customers is good news for managed service providers (MSPs). But you can’t make something both necessary to and consumable by the masses without also pricing it at a point that’s attainable, which means that while MSPs are signing more new customers, selling and implementing more new applications, managing more users and devices, and handling more data streams than ever, they’re having to do so with by and large the same resources they’ve always had. According to preliminary data collected by Channel Futures for its annual MSP 501 survey, the number of end users and the number of devices MSPs are under contract to manage have each grown more than 30 percent since 2017. However, the companies included in the 2018 MSP 501 rankings report only about a 20 percent increase in full-time employees. In an industry of fierce competition and ever-shrinking margins, more and more MSPs are turning to peer groups to help avoid being crushed under the weight of opportunity. 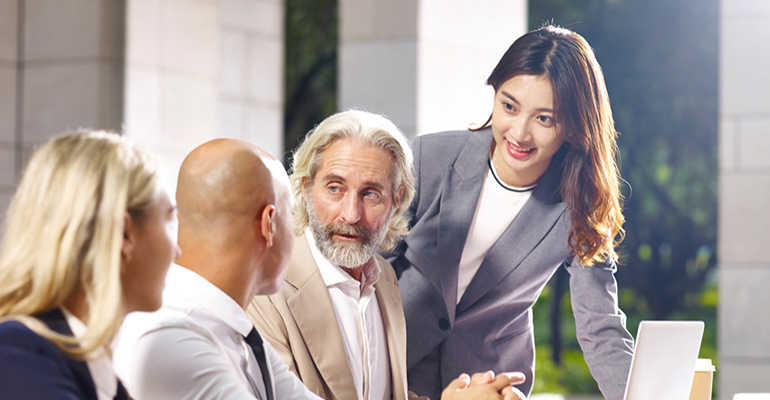 Peer groups such as HTG (which ConnectWise redubbed as IT Nation Evolve after it acquired the company earlier this year), The 20, Clarity Channel Advisory Group (CCAG) and MSPAlliance serve as communities where MSPs can safely share best practices with other service providers. According to a ConnectWise report from earlier this year, partners that report belonging to a peer group say they’re better prepared to meet customer demands, and report providing almost three times as many managed services than those MSPs going it alone. It makes sense, therefore, that 94 percent of the 2018 MSP 501 winners report being involved in some sort of peer group. The ConnectWise study found that MSPs that belong to a peer group offer value-added services like on-site visits, remote management, consulting services and out-of-hours support. Value-added services are the bread and butter of competitive differentiation in the channel, and members of peer groups can crowdsource the highest-value, lowest-effort solutions and services from other MSPs that have found success. The 501 weights different revenue streams according to how scalable they are and places high importance on factors like recurring revenue from managed services. “It’s clear to me that part of the reason the top MSPs are at the top is because they dedicate time and money to being the best, and they know they might not have all the answers,” said Will Ominsky, managing director of CCAG. For the last three years, CCAG has provided data services for the MSP 501 and watched trends among the winners evolve over time. For Australia-based MSP Blueshift, #444 on this year’s 501, joining HTG/IT Nation Evolve was the single biggest business decision that drove company growth in 2017. The MSP struggled to carve out a true competitive differentiation for itself, but the peer group provided a framework to get the business functioning well and working toward goals that are actively aligned with where it wants to grow. Chapman says the HTG peer group and wider HTG community offer up an extensive expertise that the MSP can draw on to guide its business decisions. Blueshift can compare every aspect of its business with other members and with HTG’s financial benchmarking index to identify where it can improve, and can offer up its own experience to other members in the group in turn. There’s power in connecting with peers, Arlin Sorensen, vice president of peer groups at ConnectWise and founder of HTG Peer Groups, told Channel Futures. The groups don’t just serve to trade recommendations and reviews of vendors and solutions. Within peer groups, members talk about how to achieve work/life balance within a demanding, time-intensive industry, how to attract and retain the best employees and clients and how to build business strategies to stand the test of time. Ciera Cole serves as the chief operating officer for The 20, a Dallas-based MSP peer group. Members of The 20 work almost as extensions of one another’s operations. Through the power of numbers, members can negotiate better deals with vendors, learn from one another’s experiences and support each other’s multi-location clients. Chapman says MSP Blueshift’s 2018 initiatives reflect the insights its received from its involvement in HTG. Blueshift is trying to grow its expertise in vertical-specific markets so it can add more business value than traditional managed service providers that focus mostly on technology. This goal has shifted the MSP’s business strategies such as marketing as it works to be everywhere its target customers are. The insights Blueshift receives from its involvement in a peer group also guide its choice of which value-added services the MSP will incorporate into its agreements, such as security training, password managers for end users and even business intelligence. These offerings will not only further differentiate Blueshift so that it actually can brag about a quantifiable edge it has on its competitors, but also help bolster those critical recurring revenue streams.